The native binaries were separated from the cross-platform ones. We realized that this structure is not optimal and it forces customers to make additional efforts when it comes to manually referencing our binaries. What customers had to do in order to reference our binaries in a single platform (e.g. Android)? 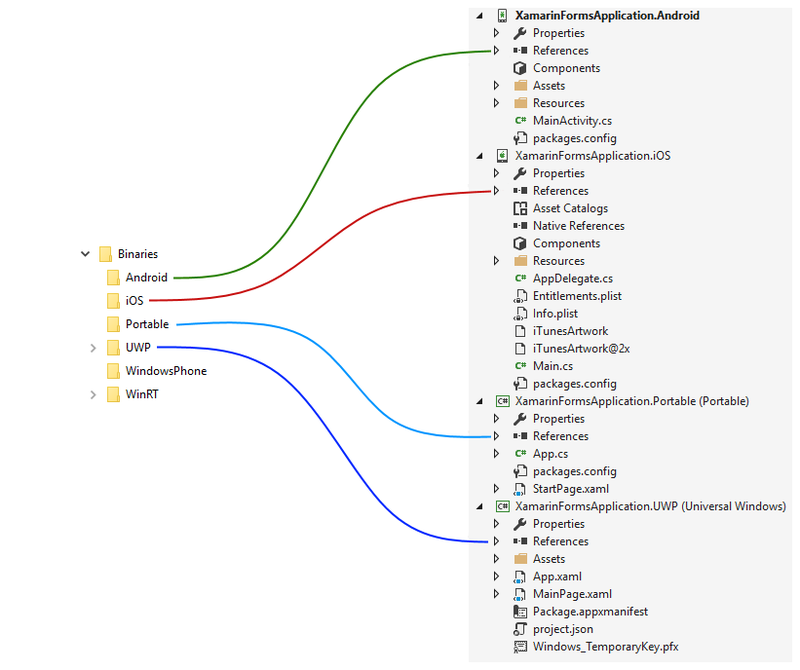 Reference the native binaries from the Binaries/Android folder. 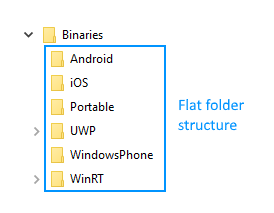 Reference the portable binaries from the Binaries/XamarinForms/Common folder. Reference the platform specific renderer binaries from the Binaries/XamarinForms/Android folder. We realized these steps can be overwhelming for new comers and therefore decided to invest in simplifying these requirements. What we did to improve this? 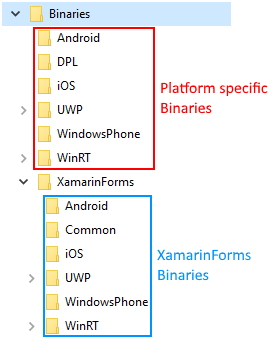 The XamarinForms folder no longer exists and all binaries that were inside it are now shipped with the respective platform folders. For example, the portable Telerik.XamarinForms.Common.dll that was previously shipped in the Binaries/XamarinForms/Common folder is now shipped in the Binaries/Portable folder (as well as all other portable binaries). The platform specific Telerik.XamarinForms.Common.Android.dll that was previously shipped in the Binaries/XamarinForms/Android folder is now shipped in the Binaries/Android folder. The more significant change is renaming of the platform specific binaries. We decided to remove the “Renderer. [platform]” and “*. [platform]” parts of the name of all binaries. 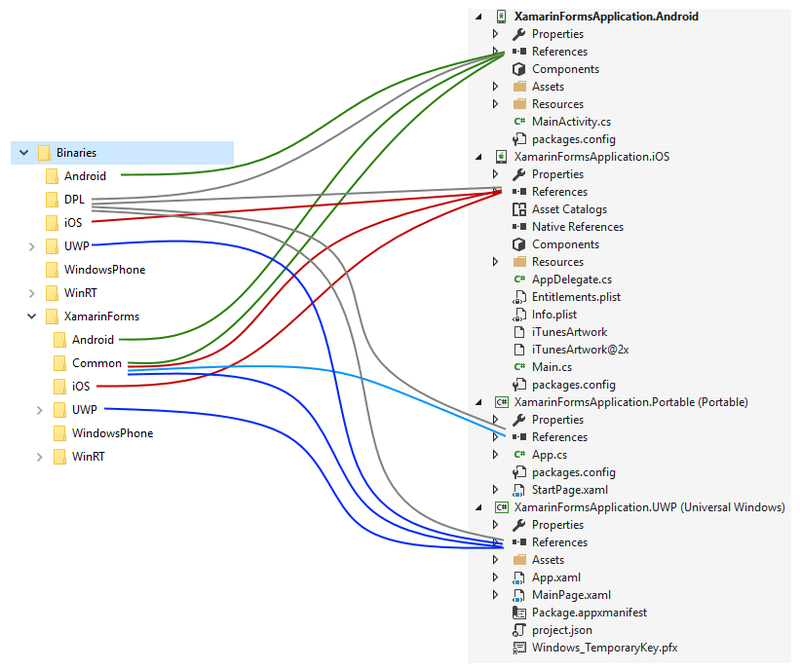 For example, the Telerik.XamarinForms.ChartRenderer.Android.dll binary previously shipped in the Binaries/XamarinForms/Android folder is now called Telerik.XamarinForms.Chart.dll and is now shipped in the Binaries/Android folder. Also the Telerik.XamarinForms.Common.Android.dll is now called Telerik.XamarinForms.Common.dll. Basically, the name of the binary no longer holds the name of the platform it is built for. If users need to get that information they can still do this in the Properties -> Details tab. These two changes allow customers to easily find all binaries required by a platform in one place. All Telerik binaries, native, platform specific and portable are now collected in a single directory. Now there is no need to switch folders when referencing binaries in a single platform. 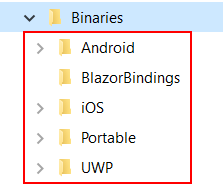 For example, all binaries that are built for the Android platform are shipped in the Binaries/Android folder. This is true for all supported platforms. On top of this, there is no need to manually apply annotations and to call initialization methods any more. We are now registering all renderers internally. Users need to figure out which binaries they need, reference them in the respective project and they are ready to go. The Telerik.XamarinForms.IAppointment interface has been modified to include an additional Detail property. With the official release of R1 2017 we have introduces some changes in the RadDataForm control that affect the entity property and metadata. Now the metadata can be accessed through the entity property and all methods that previously had metadata as parameter use the entity propertyn instead. The changes are listed below. DataForm.EntityProperty class is now interface: DataForm.IEntityProperty. Removed CLRConverter property from DataForm.AndroidEntityProperty class. Changes also affect the mechanism for conversion from CLR DateTime objects to native Android and iOS types. Previously there was no adequate conversion for dates with different DateTimeKind. Now we have introduced several parameters to provide conversion context. The changes are listed below. Added new data form data annotation DataAnnotations.NativeConvertionContextAttribute to provide additional information for conversion. DataForm.EntityPropertyMetadata has new property NativeConvertionContext of type object. Previously Chart axes required different LabelFormat on each platform that caused confusion among our customers. Now we changed the required format to be unified across all platforms. This method should be called right after the Xamarin.Forms.Forms.Init(...) call in the native projects starting pages. You will have to make these changes to your application if you update from a previous version of UI for Xamarin suite. The other changes are mainly related to type conversion. We have introduced new ways to define conversion between CLR and native objects. We have also added support for automatic CLR to native types conversion and in most of the cases you will not need to know that such thing exists. Below are listed classes that are removed or moved.